The following is an excerpt from the full and dynamic report which can be found here. Mosaic Makers: Leading Vital Multicultural Congregations conference (February 17-19, 2012) was exhilarating, energizing, meaningful, and deeply informative. 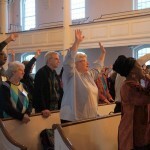 The event grew out of the Multicultural Growth Consultation (March 2011) and was a by-invitation gathering for congregations that are deeply engaged in the work of building intentional multicultural community. 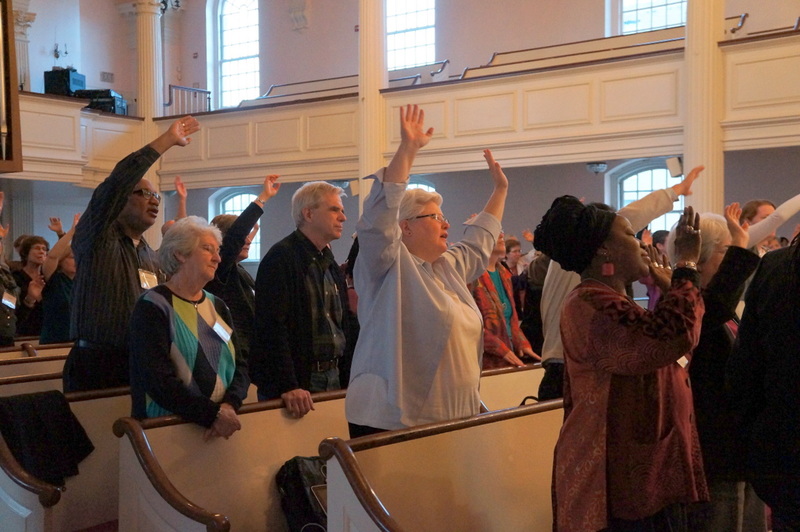 We spent two-and-a-half days learning together, building intentional multicultural community, and generating new energies around doing this vitally important work in our communities and congregations. Participants, presenters, and planners alike learned much from one an- other, and we’re delighted to share some of the wisdom that emerged from the conference. These personal reflections center around the four pillars of intentional multicultural community: Leadership, Worship, Justice Ministry, and Congregational Life. 1) Leading vital multicultural congregations is a “shared leadership” job. No minister, religious educator, board member, or committee chair can do this work alone. Religious professionals and lay leaders must work together to project a bold vision and lead the change that enables multicultural community to thrive. 2) Direct experience in multicultural community is essential to motivating and supporting multicultural leadership development. The partnership with All Souls/DC provided critical pieces of the learning that UU leaders took home to their congregations. 3) To “grow leaders” for this transformative work, UUA staff, UU congregations, and innovative UU leaders must partner with each other. All of our staff groups are allied in sharing leadership and supporting the many facets of this work. Please see the full report for reflections from the perspective of religious educator, chaplain, presenter, justice-maker, worship, congregational life, minister. There is something for everyone. Are you interested in growing multiculturally? Sign up for the Catalyst, the newsletter from Multicultural Growth regarding racial & ethnic concerns. Reach out to neighboring congregations and to other congregations doing this well. We’re walking this path together. All Souls Church, Unitarian in Washington, D.C.